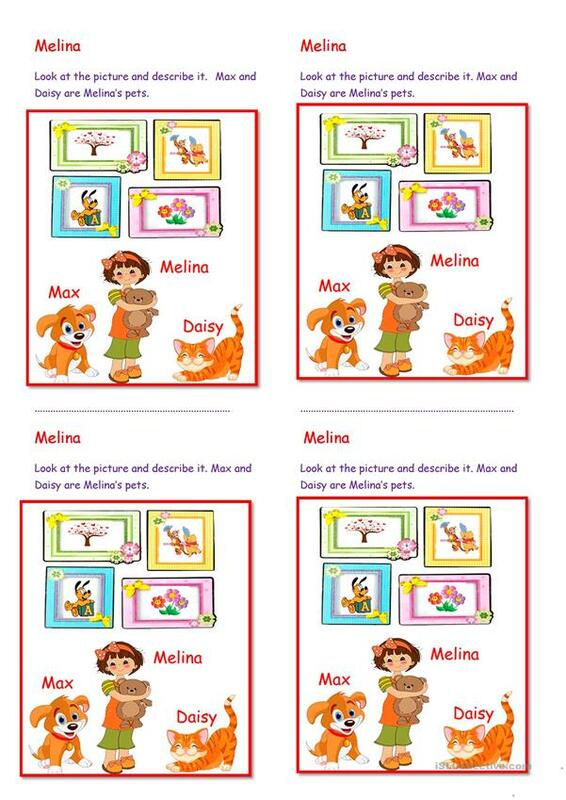 Picture description.Sts have to talk/write about Melina and her pets. People & animals descriptions ,parts of the house (wall, pictures etc)The can talk about Melina's clothes too. The present downloadable handout is recommended for elementary school students, kindergartners and nursery school students and students with special educational needs, learning difficulties, e.g. dyslexia at Beginner (pre-A1) and Elementary (A1) level. It can be used for enhancing your learners' Speaking and Writing skills.